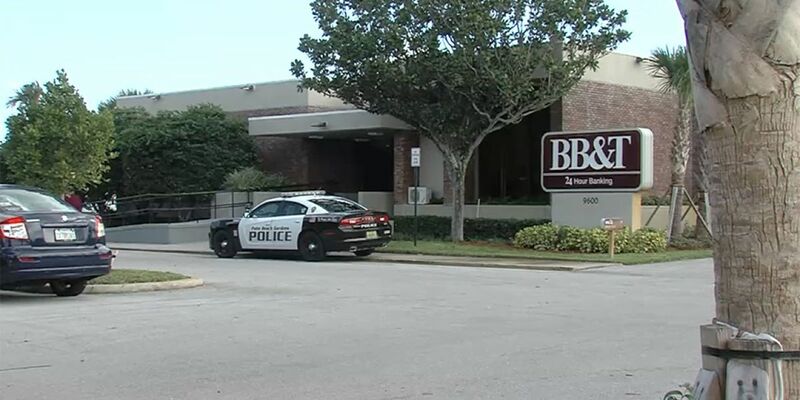 PALM BEACH GARDENS, Fla. — Palm Beach Gardens police are searching for the person who robbed a BB&T Bank on Tuesday morning. Police said the crime happened at 11:50 a.m. at a branch at 9600 Alternate A1A. Investigators aren't saying how much money the thief got away with, but police say no one was hurt. If you have any information that can help detectives, call the Palm Beach Gardens Police Department, or Palm Beach County Crimestoppers at 1-800-458-TIPS.